An NSPRA Communication Audit takes a snapshot of your current communication efforts, the climate for communication, the issues and image perceptions you are facing, and the communication needs and patterns of your target audiences. Each communication audit is different as it is tailored to your needs. When you call to find out more about the auditing process, you will be asked, "What do you want an NSPRA Communication Audit to accomplish for your district, service agency, association, etc.?" NSPRA auditors review all current communication materials and techniques at the district and building level. They talk with key representatives from target audiences; seek their honest opinions on the communication process, role and effectiveness; and probe for key responses on priority issues identified at the outset of the audit. The blueprint for success, the final communication audit report, then draws upon NSPRA's unique position of being on top of the best and latest communication techniques and plans, and tailors the recommendations to your specific needs. An audit demonstrates your commitment to improving communication. An audit demonstrates your willingness to listen and to respond to community views - a major relationship-builder in every audit we conduct. An audit will find out what major segments of employees, citizens and customers (families) think about your district's or agency's image. An audit will make definitive, workable recommendations for improving two-way communication and building community and staff support in your district or agency. An audit can lead to a practical public relations and marketing communication plan for your district or agency. Learn more in a presentation about NSPRA Communication Audits (PDF). Basically, it's a snapshot of a school district's communication needs, policies, capabilities, activities and programs. It's an assessment of the effectiveness and credibility of present district, agency and school publications and other communication, engagement and marketing activities. It involves a review of the district's or agency's public relations/communication policies. It takes a look at your demographical data, long-range plans and past surveys of parent/staff/community attitudes. It examines your budget, current plans and staffing patterns of the public relations/communication efforts. It reviews coverage by the local newspaper, radio and television media. It uses focus groups of 8-12 people representing citizens, parents, business people, administrators, teachers, support staff and other key audiences, whose support is needed to improve communication in your district or agency. Focus groups help NSPRA communication experts assess the institution's image, communication pattern and gaps. Makes certain you are receiving the biggest bang for your communication investment. 1. Making the decision to do it. Nothing is more important in building trust and support between your organization and the public you serve than the quality of your communication efforts. Are you addressing the community's concerns? Are you communicating with citizens effectively? Does your staff understand and support what you're trying to do? If you cannot answer with a resounding "YES," you will benefit from an NSPRA Communication Audit. 2. Analyzing the current program. 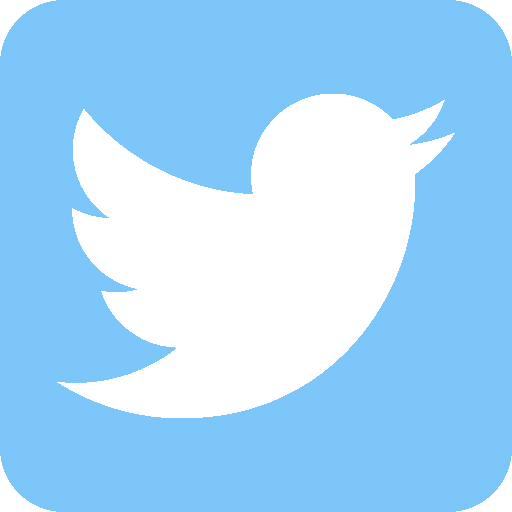 NSPRA's communication consultants will review your existing policies, publications, strategies, media relationships - every aspect of your internal and external communication efforts. 3. Listening to your audiences. The core of the audit is hour-long focus groups that are representative of your internal and external audiences. Focus groups can generate a lot more useful information than most surveys because a trained facilitator can probe the feelings behind the opinions. Each audit is different, so the number and composition of focus groups vary depending on the main mission of your audit. 4. Developing constructive recommendations for improving your communication program. Based on an analysis of your current program and the input from the focus groups, the NSPRA communication experts will make detailed recommendations for improving your communication and marketing efforts. Our experts are highly educated and experienced in the field and have had hands-on experience in school districts and agencies similar to yours. Lists of additional products and services that can assist you in turning your recommendations into positive results. Why choose NSPRA for your communication audit? Experience. 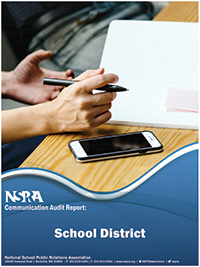 NSPRA has conducted more than 40 audits in the past five years for districts, schools, associations and agencies similar to yours. Our experience also creates an efficient and timely process that saves you time and money. A Treasury of Resources. NSPRA knows better than anyone else what's going on in school districts and agencies around the country and how that should be communicated for maximum effectiveness. NSPRA's "catbird" seat gives you the most up-to-date solution to solving your communication problems. Economics. Time after time in bid competitions, NSPRA has been thousands of dollars lower than anyone else, and usually offers more services. Corporate AND School Public Relations. We know and practice both corporate and school public relations. All audits are reviewed by NSPRA seasoned counselors with both corporate and school PR experience. So you receive the double benefit of tapping into the best advice of our corporate and school PR professionals. When you want to improve communication and support for your schools. When a new superintendent or board majority takes office. When you are about to embark on a new initiative, such as year-round schooling, or when there are major changes in the community. When a new public relations professional comes on board. When a communication audit hasn't been conducted for five or more years. When you have determined that your public's perception is quite different from your present reality. What will I get from a communication audit? Effectiveness of your current communication efforts. 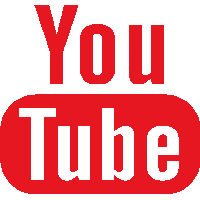 Establishment of priority audiences and the best channels to reach them. Image of your schools or agency by staff, community and customers. Two-way communication techniques that will work for your district. Information and frequency desired by your priority audiences. Specific information sought by you from the audit. Your NSPRA Communication Audit will culminate in a comprehensive report that comments on the district's existing communication efforts and recommends innovative and proven techniques for improving two-way communication in your district. The recommendations will be down-to-earth, effective and, in many cases, will cost you little to implement. Is the communication audits tailored to my needs? Yes. Each audit NSPRA completes reflects the question we ask you: "What to you want an NSPRA Communication Audit to do for your district, agency, association, etc.?" From that step, NSPRA plans an audit that will work best for you. For example, in addition to the usual and basic communication questions we ask focus groups - What information do you want? What's the best way of getting it to you? How often do you want it? - we often ask key planning and awareness questions on such topics as year-round schools, building new schools, closing others, school reform, etc. Some audits are just for external audiences, while others only look at their staff and related internal audiences. Many combine both into one audit. Each NSPRA audit report is unique and reflects the direction you give to NSPRA at the very beginning. Next step . . . Call us now! To learn more about an NSPRA Communication Audit, how it can work for your needs and the costs, contact NSPRA at (301) 519-0496 or email nspra@nspra.org. Please be ready to answer the question, "What do you want an NSPRA Communication Audit to do for your district or agency?" We will gladly send you more information on our auditing process as well as a list of agencies and districts where we have recently completed communication audits. Call us today to begin building school support with an NSPRA Communication Audit.